For the first time this season, the Oklahoma City Thunder have been on the high side in two of the last three games. This was the stretch that was supposed to balance out the gauntlet that was the first 6 games of the season. 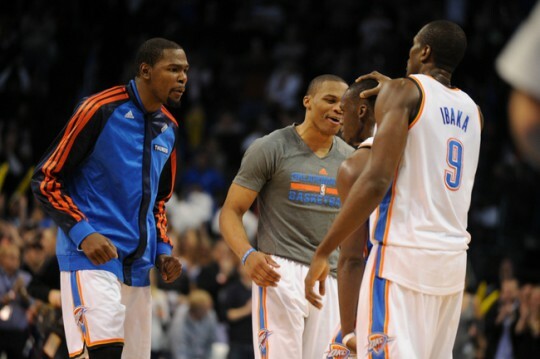 The Thunder have seemingly adjusted to this new normal and are starting to hit their stride. They’ve played with the same 10 players for the past 2 games, which is saying something for this season, and have some rhythm moving forward. This is the first meeting of the year between these two teams. The Thunder swept the season series last season. They kept the Pistons at bay in their first meeting of the season (aka the Steven Adams coming out party), and then needed a furious comeback in the 4th quarter of the second meeting (which was also the last game of the regular season) to secure the No. 2 seed in the Western Conference. The Thunder have won the last 10 meetings against the Pistons, dating all the way back to 2009. 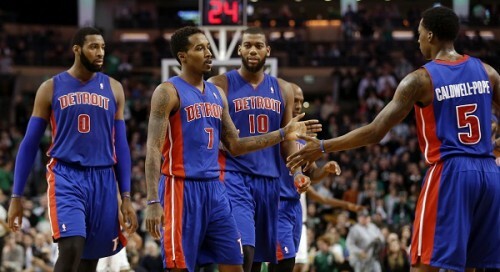 The Detroit Pistons come into the game with a 2-6 record. The Stan Van Gundy era has gotten off to a rough start as the Pistons have struggled to find their identity on offense. They are averaging 93.3 points per game, good for 25th in the league. A good SVG offense is inside/out heavy with a dominant big man surrounded by shooters. The problem with Detroit is that their big men aren’t quite dominant yet and their shooters aren’t hitting their shots consistently. Brandon Jennings and Kentavious Caldwell-Pope man the backcourt. Jennings has been surprisingly consistent this season, while Caldwell-Pope is still learning the nuances of the game. Up front, the Pistons are still trotting out the inconsistent, yet possibly terrifying trio of Greg Monroe, Josh Smith, and Andre Drummond. Smith is still inconsistent, but has shied away from taking so many 3-point attempts (going from 3.4 attempts last season to 1.5 attempts this year). Monroe has been their best player so far, averaging 17.3 point and 11 rebounds per game. The Pistons’ bench is of the more weaker ones in the league and features Caron Butler, Kyle Singler, DJ Augustin, and Jonas Jerebko. 1. Zone Defense – The defense has been trotting out a zone, especially in the 2nd and 4th quarters, that has been flummoxing opponents. The zone is especially dangerous when the Thunder are trotting out 3 bigs (usually Ibaka, Nick Collison, and one of either Kendrick Perkins or Adams). With Detroit’s tendency to be streaky from the perimeter, I would look for the Thunder to deploy this defense, especially when Detroit has their 3 bigs in the game. 2. Rebounds – While Detroit appears to still be trying to figure out how best to use their three bigs, the one thing they can always do well is rebound. Between the three of them, they are averaging over 30 rebounds per game (with nearly 10 of those being on the offensive end). Detroit may miss a lot of shots from the perimeter, but they are able to buffer that by grabbing offensive boards. The Thunder may need “all hands on deck” in the rebounding department for this game. 3. Perimeter Bigs – Ibaka and Collison may benefit the offense in this game by floating around the perimeter. Taking their man away from the paint, will allow Jackson and Sebastian Telfair room to operate and attack the paint. Season Preview – No other team in the league made as big of an offseason improvement as the Cavaliers. The signing of James combined with the acquisition of Love immediately elevated the Cavs from lottery bound team to championship contender. The additions of Miller and Jones will provide the Cavs with the floor spacing they need to maximize the talents of LeBron, Love, and Kyrie Irving, who just finished an MVP campaign with Team USA in the FIBA World Cup. 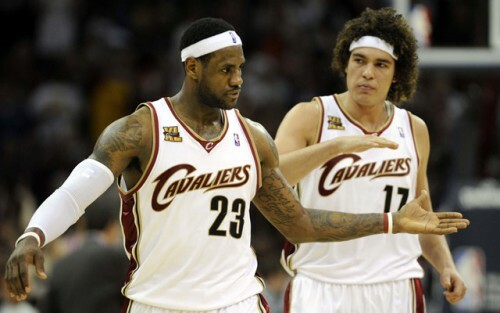 The one thing that can derail the Cavs, besides injuries, is the lack of experience from key players. The Cavs will be putting a lot of the responsibility on four players who have never sniffed the playoffs in their careers (Irving, Love, Dion Waiters, and Tristan Thompson). 2014-15 will be successful if: The Cavs make it to the Finals. Winning the Finals would definitely be icing on the cake, but this team is looking to build experience for sustained future success in the next 5 seasons. Season ended: Game 5 of the first round of the Eastern Conference playoffs against the Washington Wizards. Season Preview – The success of the Bulls rests on the health of Derrick Rose. After basically missing the last two seasons, Rose showed some of the form that made him a league MVP 3 seasons ago during the FIBA World Cup. If Rose comes anywhere close to being that type of player, the Bulls will once again be listed as a championship contending team. The addition of Gasol and Mirotic bolsters a front line that was already one of the better ones in the league. And adding a shooter like McDermott, to bookend with Dunleavy, will make this team even more formidable if Rose returns to form. This team, with a healthy Rose, has a great balance of defense and offense that will lead them far if everything clicks. 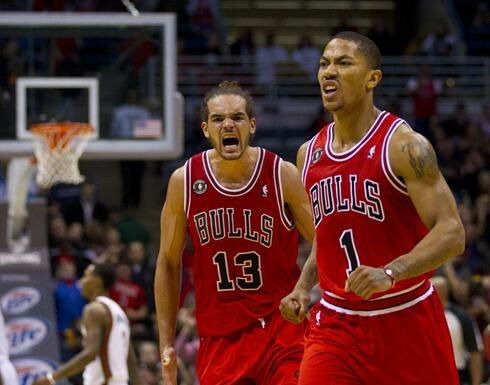 2014-15 will be successful if: Derrick Rose remains healthy and the Bulls make it to the Finals. Season Preview – Last season, the Pistons were an inefficient bunch that relied too much on perimeter shooting from players who weren’t weren’t great at shooting. This season, new coach (and GM) Stan Van Gundy, decided to bring in some shooters to supply that need. Meeks and Butler will provide the spacing that Andre Drummond and Greg Monroe will need to operate inside. In addition, Brandon Jennings will be able to be more of a drive and dish point guard, instead of a “let it fly” point guard. 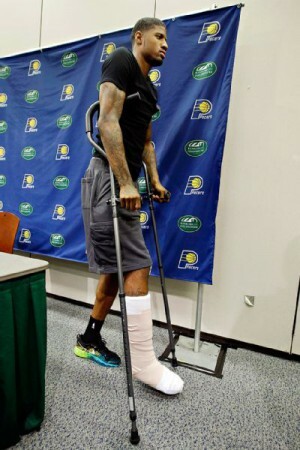 Season Preview – The story of this upcoming season for the Pacers was written on August 1st, when Paul George broke both bones in his lower right leg in a freak accident during the Blue and White scrimmage for USA Basketball. With that, and the departure of Stephenson, any chance of the Pacers contending in the Eastern Conference went out of the window. Stephenson and George were the only players on the team capable of creating their own shots. This season, the Pacers will have to rely on Roy Hibbert, David West, and CJ Miles to provide any semblance of offense. Hence why I think they’ll struggle this year. Season Preview – Much like the Philadelphia 76ers, this season will be all about development for the young core of the Bucks. 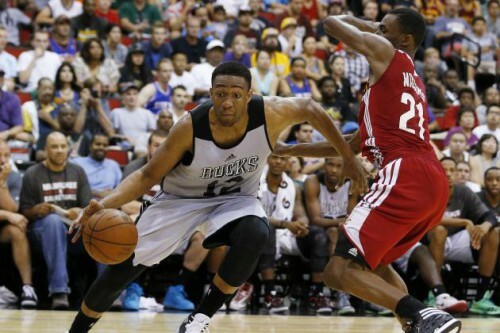 The Bucks seem to have their wings of the future in Giannis Antetokounmpo and Parker. This season will be about evaluating the point guard and post positions. The Bucks will win more games this season than last because Parker and Antetokounmpo will make winning plays, but the rest of the team will need to follow their lead. 2014-15 will be successful if: The Bucks’ core shows improvement in their development and they net another Top 5 pick. Overall, the Oklahoma City Thunder have had a pretty successful offseason. They signed a proven sharp-shooter in Anthony Morrow. Their draft yielded a possible rotation player in Mitch McGary. Kevin Durant and Russell Westbrook decided not to participate in the FIBA World Cup, which means they’ll be rested heading into the season. Serge Ibaka and his calf look good playing for Spain in the World Cup. And their young players all played reasonably well in Summer League. One of the goals heading into this offseason was to sign Reggie Jackson to a contract extension. This past season was Jackson’s third in the league, which means the Thunder were the only team allowed to negotiate an extension for Jackson. If the Thunder and Jackson don’t come to an agreement by October 31st, then Jackson will head into restricted free agency next offseason. In restricted free agency, any team can offer the restricted free agent a contract. If the player signs the tender, then the retaining team has three days to match the offer. If the offer is unmatched, then the player moves on to the team that offered him the contract. It’s a scenario that is currently being played with three prominent young players: Chandler Parsons, Eric Bledsoe, and Greg Monroe. Parson’s got a max contract from Dallas that his previous team, Houston, decided not match. Bledsoe and Monroe are currently embroiled in contract negotiations that may lead them to just play out this season on one-year tenders and then enter unrestricted free agency next offseason. The issue with restricted free agency is that if teams don’t offer the player a contract he feels he deserves, then the upper hand goes to the team the player is currently on. Monroe and Bledsoe both believe they deserve max or near max money, but most of the available money this offseason has dried up. The teams that do have cap space don’t want to blow it on players that are still unproven and probably not worthy of a max contract. How these negotiations play out will probably have a huge bearing on how future contract negotiations for Jackson will play out. If Jackson doesn’t sign this offseason, then the 2014-15 season basically becomes a contract year for him. For a championship contending team like the Thunder, a contract year for one their main players can be both a blessing and a curse. We saw last season how a contract year to a main player can implode a team (Indiana and Lance Stephenson). For a player like Jackson, all the hard work in their first 3 seasons is aimed at getting that first big contract extension. Going from a mindset of “I’m going to take these next few seasons to acclimate myself to the NBA and get better” to “this is the season that’ll determine how much I get paid for the next 4-5 seasons,” can severely affect the chemistry of the team for that season. Jackson has stated how he wants to be a starting point guard in the league. Be that with the Thunder or with someone else, he voiced his desire during his exit interview at the end of the season. Jackson has had to fill in for the injured Russell Westbrook on many occasions last season and for most of the playoff run two seasons ago. With Thabo Sefolosha’s departure, the starting shooting guard position is up for grabs on the Thunder. While Jackson started the last four games of the Western Conference Finals as the 2-guard, the Thunder will probably want to start a more defensive-minded perimeter defender this upcoming season. That player will probably be Andre Roberson. But if the Thunder liked what they saw last postseason, and like what they see in the preseason, maybe Jackson has a shot at being the starting 2-guard for the Thunder. The “Jackson as a starter” narrative takes a bit of a hit if the Thunder don’t have a prominent scorer/creator off the bench. Jeremy Lamb, Steven Adams, Anthony Morrow, and Perry Jones all have offensive ability, but struggle with creating their own shots. They are at their best when someone else is setting them up. That someone will likely be Jackson. A contract year may be good for the Thunder, though. Contract years are known for two things: disrupted locker room chemistry and statistical anomalies. If Jackson is able to play an entire season at career high levels, he may the final piece the Thunder are missing as a championship team. 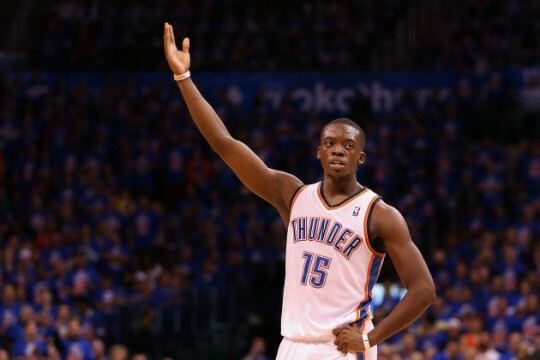 The flip side to that is that Jackson may push himself out of the Thunder’s price range if he has a career year. Whatever happens, the Thunder will go into this season with Jackson on the roster. This is not another James Harden situation. Jackson is the Thunder’s 6th man and one of the better combo guards in the league. His 3-point shooting is improving and he has shown to have ice water in his veins in pressure-packed situation. With that said, he is not James Harden. Even as a 6th man, Harden was viewed as the best young 2-guard in the league. Two seasons after the trade, that prognostication still holds true (even if he doesn’t play defense). Jackson, at this point in his career, is in the lower second or top third tier of point guards. Does he have the ability to move up on that list? Of course. But the league got the memo about a decade ago that good point guard play is tantamount to the success of your team. Since then, most teams have sown up their point guard positions. With Rajon Rondo and Eric Bledsoe likely to hit the market next offseason, Jackson may be 3rd on the point guard free agency list. Compared to two seasons ago, the Thunder are in a much better place financially with plenty of cap flexibility. They have eschewed the luxury tax the entire time they’ve been in Oklahoma City, which means they don’t have to worry about the repeater tax. And Kendrick Perkins and his albatrossian contract comes off the books after next season. If Jackson’s situation mirrors that of Bledsoe’s this season, he may be more inclined to take the guaranteed money from the Thunder than to test his luck in restricted free agency. There are still plenty of variables that need to play out between now and next offseason. Injuries, chemistry issues, and the performance of other comparable players have a way of influencing the marketability of a player. The Thunder are now much better suited to deal with this situation than they were to deal with the Harden situation two seasons ago. They may still eventually trade Jackson, but they’ll probably try to hold on to him as long as possible before visiting that option. Another factor that may influence the contract negotiations is the development of Semaj Christon. If Christon shows any ability to perform in the NBA, the Thunder may be more inclined to trade Jackson for assets and roll the dice with Christon. While the situation may draw comparisons to two years ago, the Thunder will probably fight as hard as possible to keep Jackson. It’ll be up to Jackson whether he wants to stay in Oklahoma City or not. The Oklahoma City Thunder have no one to blame but themselves for being in this position. The Thunder have had 2 opportunities to not only put the Clippers away in their chase of the No. 2 seed in the West, but also of resting their guys, namely Kevin Durant and Serge Ibaka. Instead, the Thunder will have to play a real game on the last game of the season in order to hang onto the 2nd seed. This will be the 2nd and final (duh!) meeting of the season between these two teams. The Thunder won the first meeting 119-110. 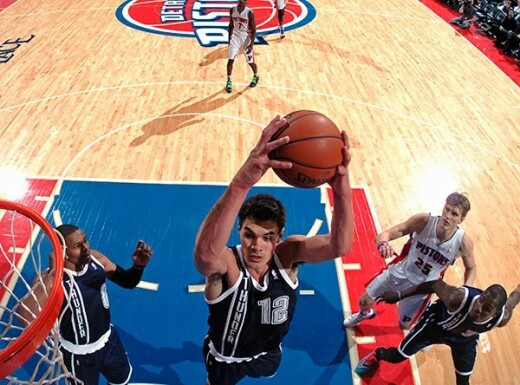 It was a memorable game because Thunder rookie Steven Adams had 17 points and 10 boards in only his 5th game. That would end up being, statistically, his best game of the season. 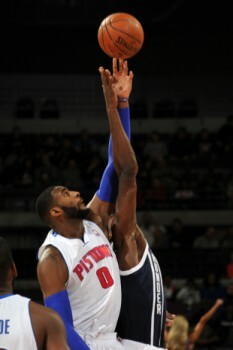 The Pistons come into the game with a 29-52 record. It is a season that has been mired in disappointment beginning with the firing of head coach Maurice Cheeks and culminating in the resignation of longtime GM and Pistons great Joe Dumars. The additions of Brandon Jennings and Josh Smith were supposed to get this team over the edge, but instead, these two players have been a huge part of the problem. Their lack of efficiency from the perimeter has made life that much harder for burgeoning big men Greg Monroe and Andre Drummond. It’s a team that was not put together very well, and the effects are showing on the court. 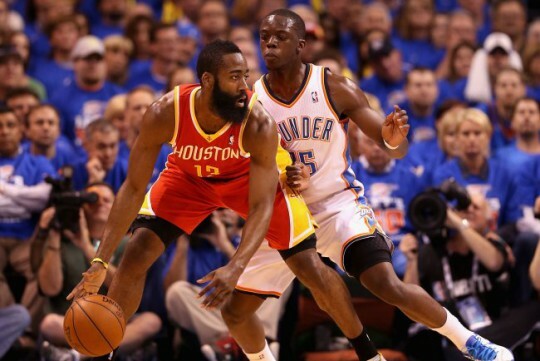 Perimeter Defense – Defensively, this game caters to the Thunder’s strength. 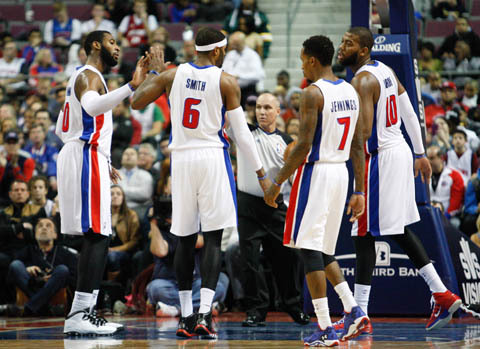 Both Monroe and Drummond are post players that rarely venture further than 15 feet out. The Thunder post players (Ibaka, Perkins, Adams, and Collison) will be able to remain in their comfort zone in the paint. Where the Pistons could beat the Thunder is on the perimeter. With the inside contained, the Thunder players should stay with the shooters and defend the 3-point line. Mind Games – The Clippers will be resting some of their players (Blake Griffin and JJ Redick), and claim they aren’t actively chasing the 2 seed. But that sounds like a psychological ploy to me. If the Thunder play lackadaisically and lose this game, you can bet the Clippers will deploy all available resources to win their game against the Blazers. Remember, the Clippers’ game starts as the Thunder game is ending. Also of note: The Blazers have nothing to play for (can’t move up/can’t move down) so they will probably be resting their players also. 3. Stay Healthy – We are playing for the second season, not this season. Stay healthy, gentlemen.